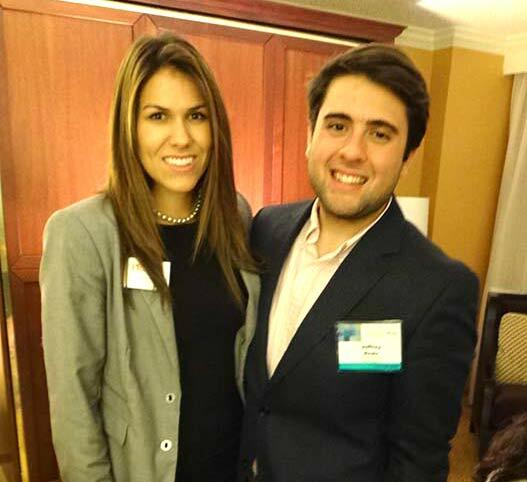 Attending professional conferences is a great opportunity for college students. They make professional contacts. They learn about trends in the work force. They come back to classes with stories to share and often with renewed enthusiasm for what they need to learn in class. Adera Ney, who is president of UF’s PRSSA chapter and a former student, is just back from the PRSSA convention. I asked her to share advice from her convention experience. 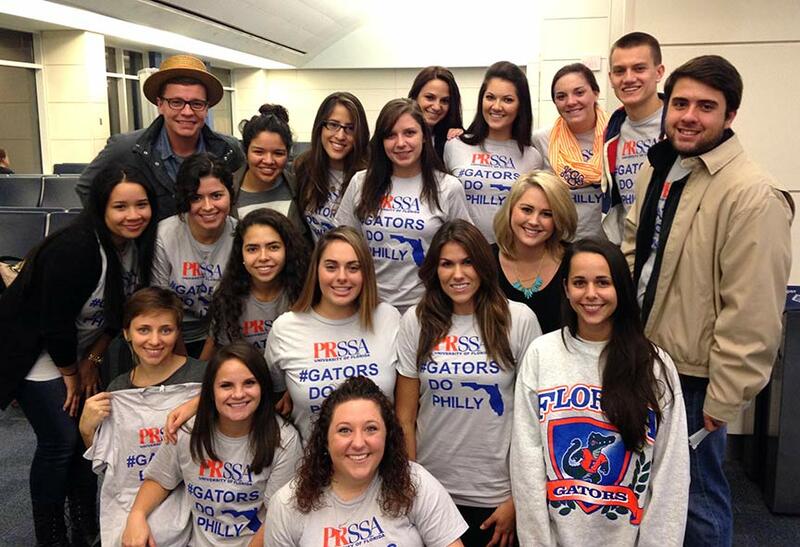 UF PRSSA members in the Jacksonville airport ready to board the flight to Philadelphia for the PRSSA convention. With 18 other UF PRSSA members, I attended the PRSSA 2013 National Conference in Philadelphia. As a senior and president of UF PRSSA, I now feel like a professional conference goer, but the truth is, when I was in Dr. Dodd’s class two years ago, I had never been to a conference before. If you’re planning your first trip to a conference, here are some pointers I wish I had. Take a trip to a printing store. Invest the $20-$30 to get simple business cards. It will take your professionalism up to the next notch, and it will make it so much easier to exchange information. Also, print a few copies of a fine-tuned résumé on nice paper. Pack smart. Make sure you pack clothes that will be appropriate for the conference. Check the website to see if you should prepare for business casual or if you should be more professional. Bring semi-casual clothes to wear after-conference hours. Remember to check the weather forecast! Make your game plan. Look at the program online and pick which sessions you think would be most beneficial for you. If there are two sessions that you’d like to go to that are at the same time, plan to exchange notes with a friend. UF PRSSA president, Adara Ney, and UF PRSSA vice president of public relations, Jeffrey Reale, at the PRSSA National Conference. Take notes! Make sure you get a portfolio (about $20 at the bookstore) or bring a notebook to jot down important information from the sessions. Make friends. Don’t be shy! Try to make as many meaningful connections as you can. It’s very likely that people at the conference you’re attending have similar interests, so you’ll hit it off so easily. I’ve made connections at PRSSA events that I know will be lifelong connections. Tweet! Twitter is a great way to connect with other conference attendees and speakers. Make sure you use the designated conference hashtag. Meet with professionals. Ask if they’d like to grab coffee before the next session and talk to them about what they do or ask for career advice. Connect. Send your new friends a request on LinkedIn. Make sure it isn’t the generic invitation; add in something personal. Say thanks. Email a speaker if a certain point they made really resonated with you, but make sure you leave a positive impression. Don’t just connect to connect. Share the knowledge. Talk about what you learned with classmates or colleagues that weren’t able to attend. Overall, keep in mind that going to a conference is a lot of fun, but it is also an invaluable opportunity to develop professionally, network with peers and learn more about your industry. If you prepare adequately, make the most of your time and follow up afterward, you’ll make the most of your first conference! This is great advice for students attending conferences. Without a plan, opportunities are wasted. Being strategic is essential. Thanks for posting this.